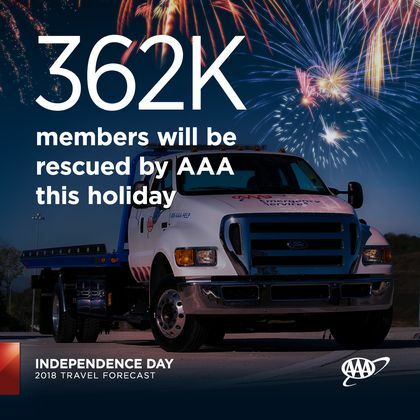 Independence Day travelers will total 2.4 million, an increase of 4.7% from 2.3 million in 2017. 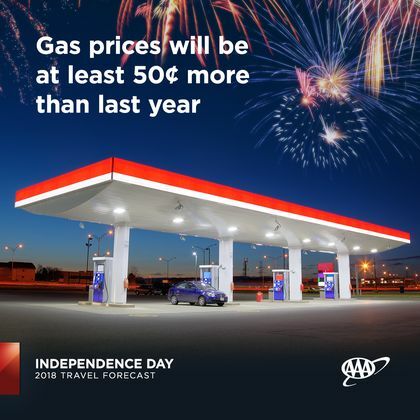 2.1 million will travel by automobile, up 4.7% from 2 million in 2017. 111,000 people will fly to their destinations, up 6.4% from 105,000 in 2017. 153,000 people will use other modes (bus, train, boat, etc. ), a 4.1% increase from 147,000 in 2017.